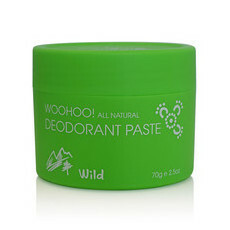 This Salt & Glow Fearless Deodorant helps to provide nurturing freshness to underarms. 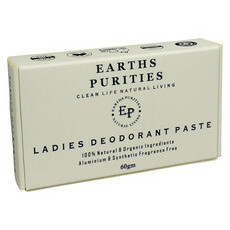 It is soft and smooth with a fresh peppermint & cucumber scent. Sweating is a natural process that helps the body to expel toxins. 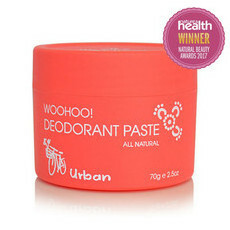 Rather than block pores and stop perspiration, this deodorant paste simply neutralises and absorbs odours and wetness while moisturising the skin. Ingredients including Camelia oil, Arrowroot, Kakadu Plum extract, Vitamin E and Shea Butter help to nourish the delicate underarm skin, while the refreshing scent from the peppermint and tea tree essential oils also provide antibacterial and anti-fungal properties. Handcrafted in Sydney. All-natural, No animal testing. Apricot Kernel Oil, Coconut Oil, Cucumber, Kakadu Plum, Shea Butter. Apply a small amount onto under arm area and rub in. Do not use right after shaving or waxing if you have sensitive skin. This one was the most gritty I have tried but smell was nice. Some days I could get away with one application, others I would need to reapply.